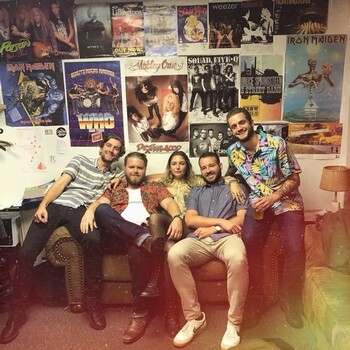 Old Gold is an indie folk band from Kansas City, Missouri. Formed in 2010 by lead guitarist Jake Hale, vocalist/guitarist Connor Lindley and drummer Ken Stanley while they were attending the University of Missouri, Columbia. In 2014 the band went on a three year hiatus with the three members pursuing other musical projects in various cities. In 2018 all three original members were reunited in Kansas City adding vocalist/guitarist Stephanie Tholl and Bassist Tom Stanley to the fold. In the fall of 2018 Old Gold performed its first show as a 5 piece band at the Rino in North Kansas City. The band is now recording its first EP which is set to release on Feb 1st 2019.